EQUS is north America’s largest member owned electricity provider. 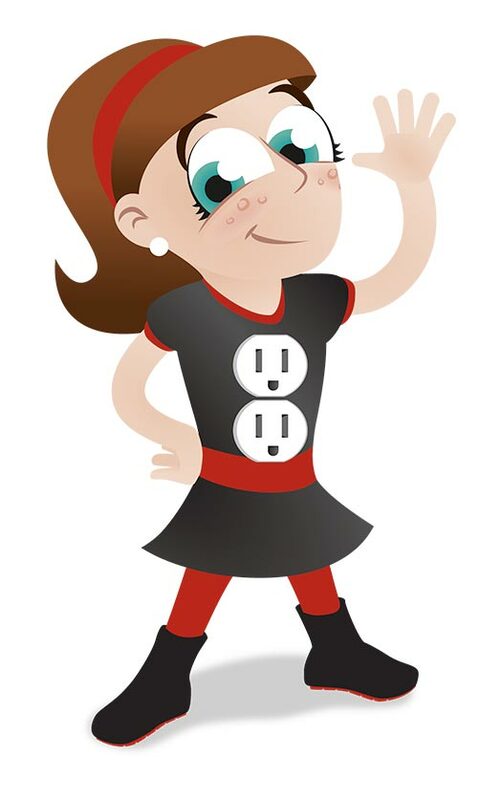 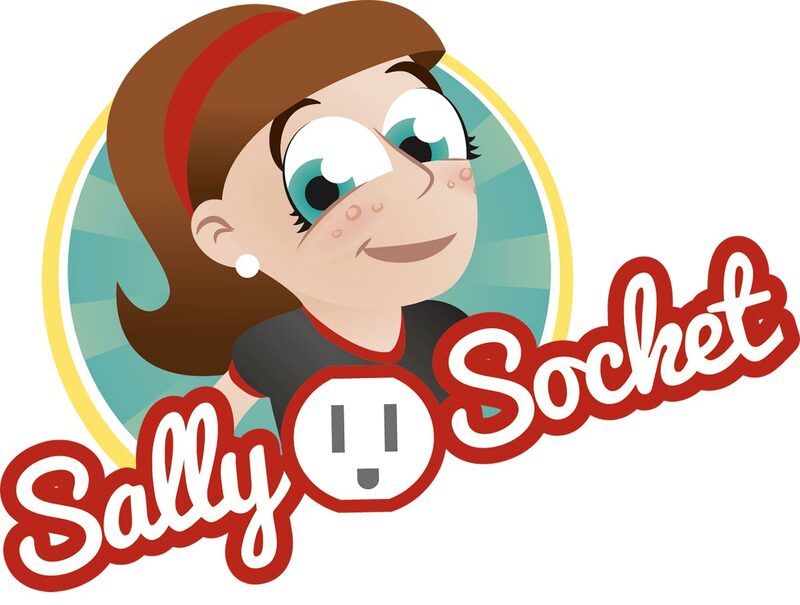 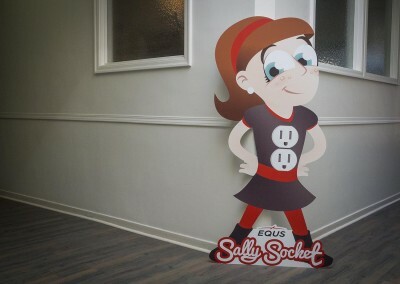 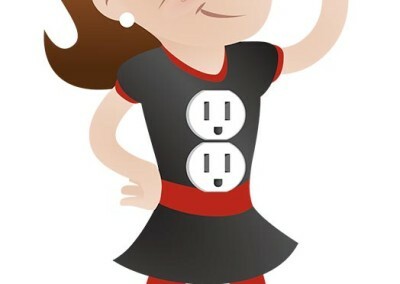 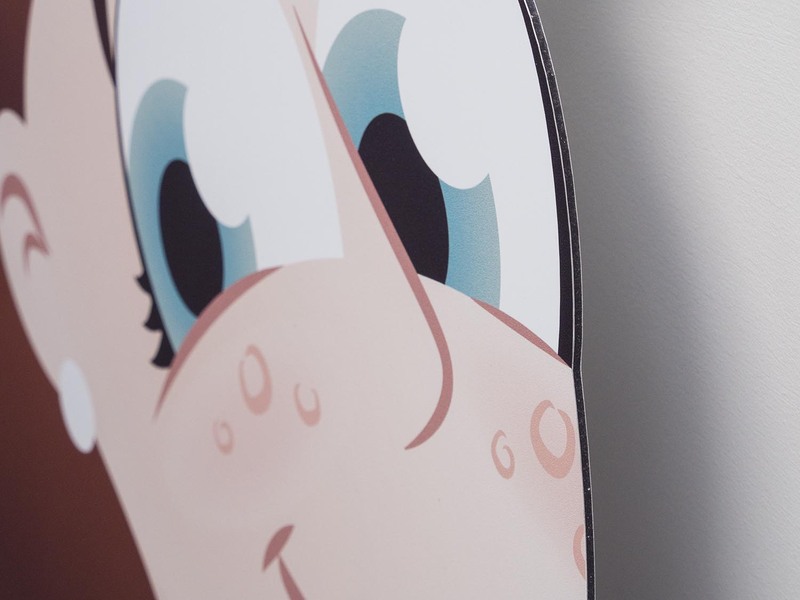 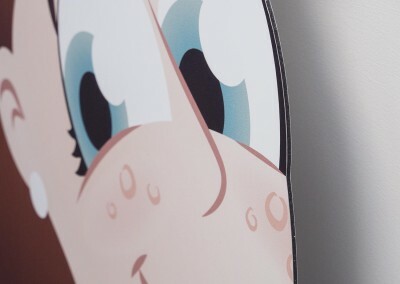 We illustrated the electricity safety spokesperson, Sally Socket – as a child, she has an easier time teaching children how to be safe. In addition, she’s a superhero—notice the super suit and the sockets on her body. This is indeed no ordinary girl!